Today's Sunday Brunch asks who calls the shots when reading a book -- the author or the reader? 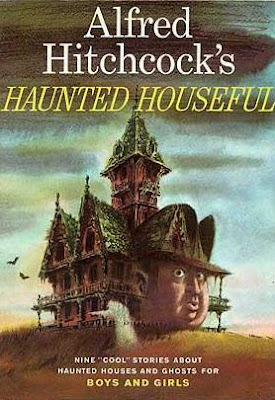 We also look at Halloween books and those great old Alfred Hitchcock anthologies from the sixties. If nothing else, this week's fuss over the National Book Award nominations has given more publicity to two titles, SHINE by Lauren Myracle and CHIME by Franny Billingsley, than they've probably received in all the months since they were published. I must hand it to author Lauren Myracle, for handling the situation so graciously. In an interview for School Library Journal, she said that she "felt like poor Carrie, invited to the prom just to have pig's blood dumped on her head," but ultimately feels "insanely blessed and humbled by how much love has been beamed my way." You can read the whole interview here. After being dragged "inside out and back again," it sounds like Lauren Myracle is "okay for now." But I still want the full story! Did any copies of SHINE with the NBA "finalist" sticker on the cover make it out to bookstores? If you see one, you might want to pick up a copy. And even if it doesn't have monetary value, it will be a good conversation piece. Because I imagine that all of us in the children's book community will be talking about this incident for years at come. IN THE LAND OF THE BOOK, WHO IS KING? I have spent the last couple days hanging out at Elizabeth Burns’ School Library Journal blog, A Chair, A Fireplace, and a Tea Cozy, wielding an imaginary ruler and rapping the knuckles of any reader who admits to skipping ahead in a novel to peek at the ending. So, I’m reading Lauren Myracle’s Shine and I do something — Well. To some, something unforgivable. You see, there was something happening in the book and, well, I couldn’t wait. I had to know whether someone was going to be OK. So I flipped to the back of the book, skimmed a little, got the answer to my question, and returned to my reading. Hello, I’m Liz, and I read the end of books. Hello, Liz. Put your hand out, palm down. That’s what you get for paging ahead to the end of a book! Sometimes, it’s because I’m reading historical fiction and I want to know beforehand how much is real and how much is made up. Sometimes it’s because it’s really intense and I want to know if things turn out good or bad. Sometimes it’s because I’m bored and I want to know if it’s worth finishing the book. I have to release the OMG what is going to happen tension. Oh I always read the end when there is too much suspense for me. Geez, I’m going to send all you guys to Mrs. Peregrine’s Home for Peek-culiar Readers. Whatever happened to patience, forbearance, and self-control? I guess my feeling is that the author crafts his or her book in a very precise way. If they wanted to reveal the ending first, they’d write the book in that fashion: “Gentle Reader, I married him!” followed by an extended 500-page flashback showing how Jane Eyre and Mr. Rochester met and fell in love. So I give the author due respect and read the book the way it’s presented. I think this should be especially true if one is reading the book for review. How can we tell if the author has done an adequate job planting clues, foreshadowing, and maintaining tension if we skip to the end and don’t actually experience those things for ourselves as readers? You'll notice I added a smiley emoti-con at the end of my diatribe, just to show I'm not really a fanatic on the subject. It's funny that the topic came up this very week, as I just struggled with an adult novel for the sole purpose of getting to the final rewarding lines. In truth, I'd been struggling with SO MUCH FOR THAT by Lionel Shriver for MONTHS. I'd read two of the author's previous books (WE NEED TO TALK ABOUT KEVIN and A PERFECTLY GOOD FAMILY) and found them brilliant, but SO MUCH FOR THAT was a slow go. Part of the problem was the subject matter: terminal cancer. Not a fun read. However, the book came with a reading guide and one of appended essays written by the author was called "Why Reading This Book Is Not a Big Drag." She supplies a number of reasons including "It's fun to read. ...Yes, the book is funny." I actually didn't laugh once when I read it. Another of Shriver's reasons: "It has energy. ...That's right -- this novel, I have heard repeatedly, is a 'page-turner.'" Obviously I did not find that to be true either, or it wouldn't have taken me all summer and half the fall to read it! I was most intrigued by this reason: "It has a happy ending." Shriver warns us, "Do not, whatever you do, flip to the last page now if you haven't read the rest of the book, but I do fancy that the final couple of lines of SO MUCH FOR THAT are the best (and also the simplest) of any novel I've written. It's a real up yours ending, a 'Take that!' After I bashed out that little paragraph on New Year's Day 2009, I couldn't wipe the smile off my face for the rest of the night." I must admit that this promise of a "happy ending" was what kept me slogging through the book over the past few weeks. I couldn't figure out how the author would be able to achieve this -- especially with the mortally-sick characters in her story dropping like flies in the final chapters. As the end of the novel grew closer, I became more and more intrigued and ultimately stayed up till 4:00 AM, just to reach those final lines of the book, which were promised to be happy ones. I couldn't imagine how they could be. The author totally pulled it off! But I don't think they would have had nearly as much power, or been nearly as satisfying to me as a reader, if I'd peeked ahead to read them in advance. Taken out of context they would have meant very little. And knowing them ahead of time truly would have ruined the last chapters of this cold and almost cruel novel. I was so glad that I had stuck with it and followed the author's instructions to "Do not, whatever you do, flip to the last page now if you haven't read the rest of the book." In the land of the book, who is king? (Or queen?) 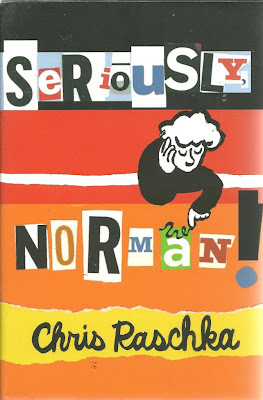 Do we as readers have the right to read a book any which way we'd like -- sampling it here and there, peeking ahead to the ending, reading the story in a nonlinear fashion? The reader is the one who buys (or at least borrows) the book and is devoting precious hours of their life to this narrative. Isn't it their right to read the book any way they choose? Or should the author -- the creator of this story and its characters -- have the final say? They've crafted their novel in very specific ways, hoping to create a singular emotional journey for readers. Do writers have the right to tell us "Do not, whatever you do, flip to the last page...." Isn't it their right to expect us to read the book exactly as they've written it? When a book is published, does the author transfer ownership of the novel to readers? At what point does the author diminish control? When does it change from "their book" to "our book"? Who should be the final arbiter of how a book is read -- author or reader? I really don't know the answer to these questions, but they are fun to ponder. Okay, this little entry doesn't have a thing to do with children's books -- or books of any kind. But I did want to add that I smile every time I see the title of Liz Burns' aforementioned blog, "A Chair, A Fireplace, and a Tea Cozy." Even though one of my grandfathers came from England, as an American male I've never had much truck with tea cozies. In fact, I don't think I've ever even seen one in real life. But every time I see the words "tea cozy," I'm reminded of a story my aunt once told me. My aunt was in the Air Force for many years. Shortly after World War II she was stationed in Great Britain. One year, at their office Christmas party, an English girl, who worked on base in a civilian capacity, gave an American employee a hand-knitted tea cozy as a present. The American woman had no idea what a tea cozy was. The next night they were all invited to a fancy Christmas dinner at someone's country estate. The American woman showed up wearing the tea cozy on her head. Yes, she thought it was a hat! Everyone found it so funny that this lady ended up being the hit the party (though, unfortunately, wearing tea cozies as hats never did take off as a fad.) Still, every time I see Liz Burns' blog title, I think of that poor American lady walking into that traditional English Christmas party with a tea cozy on her head and can't help but smile. EIGHT MORE DAYS TO HALLOWEEN, SILVER SHAMROCK! Yes, Halloween really is just eight days away. Last Sunday I solicited your ideas for spooky-type books that we could give out as part of Neil Gaiman's All Hallows Read project. Lin wrote in to say "I'm hard pressed to think of a Halloween book for upper elementary (except for Bradbury's HALLOWEEN TREE.) For scary: Of course, the 'Scary Stories' trilogy by Alvin Schwartz, BUT ONLY if they are the Stephen Gammell illustrations. Picture books: NIGHT OF THE GARGOYLES by Bunting, pictures by David Wiesner." Alison said: "In our house, our Halloween library is mainly limited to picture & board books. THE LITTLE OLD LADY WHO WASN'T AFRAID OF ANYTHING was a particular favorite. 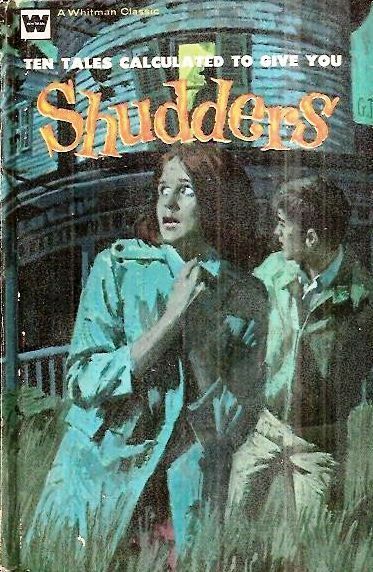 As my kids aged, we found very few middle grade books that they really attached to Halloween, with the exception of the already mentioned 'Scary Stories,' and David Lubar's 'Warped and Creepy' Weenie series. OH & I did run out last year & get my 12 year old Susan Rich's HALF-MINUTE HORRORS after reading about here, I believe. That was a fun little book!" Thanks, Lin and Allison, for those great suggestions. I was about to compile a list of my own when, wouldn't you know, Monica Edinger and Betsy Bird beat me to it by publishing this one -- with video, no less! -- listing a lot of recent books just perfect for the holiday! They sure beat me to the punch, didn't they? But I guess at Halloween, it's the early bird that gets the gummi-worm. THE LITTLE LEFTOVER WITCH by Florence Laughlin (1960), a "cozy" (but not tea cozy) story that starts on one Halloween and ends on the next Halloween. I try to read this one every year. A NEWBERY HALLOWEEN by Martin H. Greenberg and Charles G. Waugh (1993) collects spooky stories and chapters from the works of Newbery-winning authors. WILLIE BEA AND THE TIME THE MARTIANS LANDED by Virginia Hamilton (1983) takes us back to the Halloween when Orson Welles' "War of the Worlds" radio broacast terrified the country. ED EMBERLEY'S DRAWING BOOK OF HALLOWEEN by Ed Emberley (2006) shows how to draw witches, monsters, and other holiday-themed illustrations. I hate to admit that I was seduced by all these covers. I love Halloween, and I love Halloween artwork, so all these books reached out to me (with cold, creaky skeleton fingers) demanding to be bought and read. I did buy them and I did read them. And, predictably, they were all pretty bad. In fact, as quickly as I read them I ended up donating them to used booksales. But what does it say about the power of the artwork that, even now, looking at this covered, I'm halfway tempted to track them down and read them again....? Chuck Palahniuk's new, definitely-not-for-kids, horror novel, DAMNED, features an eleven-year-girl as its protagonist. "Are you there, Satan? It's me, Madison." Speaking of spooky books for kids, here is a blast from the past. 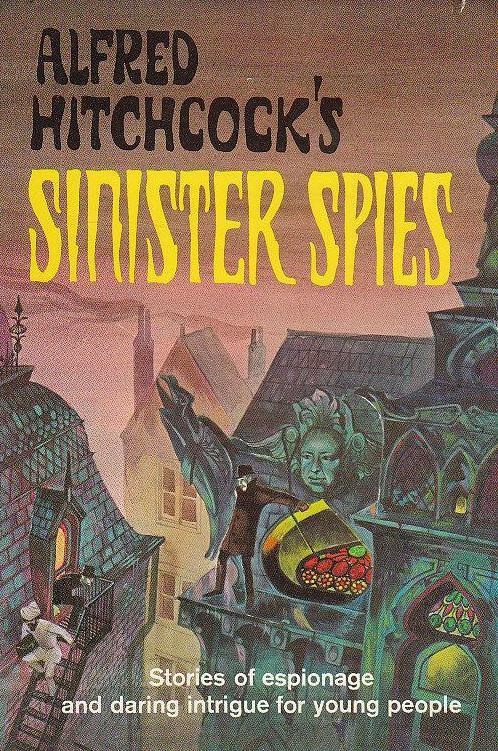 Does anyone remember the series of oversized, wonderfully-illustrated Alfred Hitchcock anthologies for young readers that Random House published in the sixties and early seventies? Doing an internet search today, I came up with the following titles. Is my list complete? Also, have I found the right illustrations for the original covers of these books? There are a few variant covers out there, since some of the cover illustrations changed in later hardcover or paperback printings. 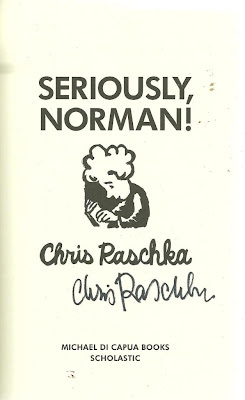 One of the things that made these books unique was that, despite their "commercial" appeal (with a well-known director and TV personality on the cover! ), they were not considered subpar literature, but seemed to be purchased by many school and public libraries. And why not? 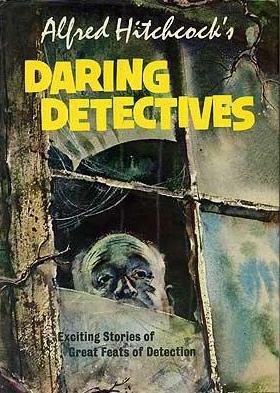 The stories in these volumes were written by such literary luminaries as Cornell Woolrich, Agatha Christie, Arthur Conan Doyle, and Patricia Highsmith. Does anyone have any memories of reading these books as kids? This volume has got me thinking about the whole phenomena of picture book writer-illustrators who also have the ability to write novels. I should make it clear: I am not talking about picture-book AUTHORS, such as Jane Yolen and Eve Bunting, who can write in many different genres from pioture books through young adult novels. No, instead I'm talking about those rare people who start off both writing and illustrating picture books...and later prove they can write full-length novels as well. Can you think of many others? Though everyone knows "you can't judge a book by its cover," you also know (from the discussion of R.L. Stine covers above) that I'm a sucker for certain types of illustrations -- and can sometimes be drawn to a book by its front cover. It actually happened to me this morning. TEN TALES CALCULATED TO GIVE YOU SHUDDERS was edited by R. Ross Olney, and issued by cheapie-dime-store publisher Whitman in 1972. I have no idea how good this book will be, but I was so drawn in by the cover that I decided I wanted to read it. 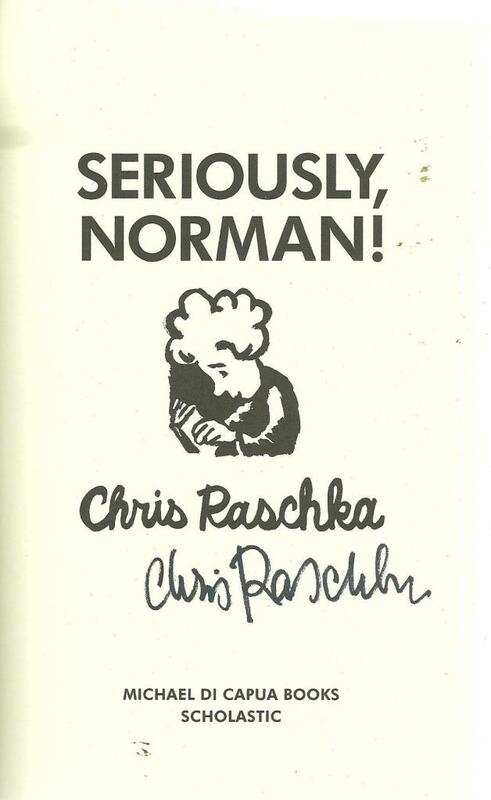 Fortunately, many copies were for sale online -- most for under five dollars. So I ordered an inexpensive copy today -- to read on Halloween. I hope the book arrives before October 31. And I hope you'll be back before then too. Thanks for reading Collecting Children's Books! The reader gets to decide how to consume the book/story/whatever. If you don't want that... don't publish! As for picture book writer/illustrators going to the novel route, what about Adam Rex and Brian Selznick? 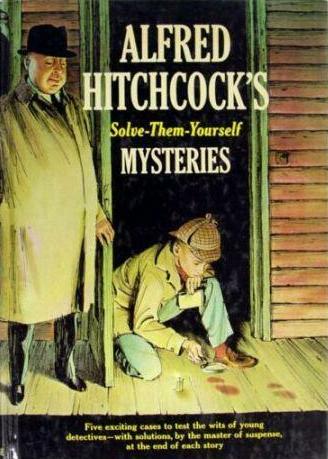 I never read any of those Hitchcock anthologies; I was too busy reading, avidly, the Alfred Hitchcock and the Three Investigators series. I had a Night Galley paperback with four stories and one of them was by Harlan Ellison. Wonderful stuff. What about Ellen Raskin for the illustrator turned writer? 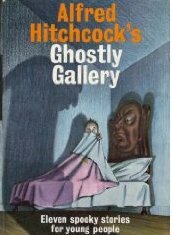 I had the Ghostly Gallery book as a kid, and it scared the willies out of me, even just the cover and illustrations inside. But I did have a pretty active imagination. In spite of its effect on me, I still loved it, and still have it somewhere. I suppose readers have the right to approach a book any way they see fit, but if they do skip ahead, then they gain one experience and lose another. In some ways, knowing an ending ahead of time is a test of narrative and plot strength: does it work even if I know what's going to happen? We all know Anna's going to throw herself under that train, but is the book worthwhile even so? For author/illustrators turned novel authors, Kate Seredy (I was just noticing my beloved Good Master in your cover gallery). Does Louise Fitzhugh count? She was "just" an illustrator pre-Harriet, so maybe not. I'm on the side of the reader, although personally I never read ahead. I had an Alfred Hitchcock record in which he read scary stories out loud. One of them, I found out years later, was by Edward Bulwer Lytton (of "It was a dark and story night fame") and containing the chilling line "What's done cannot be undone, unless the dead shall come to life!" I loved reading the Alfred Hitchcock books when I was a kid!